AtlantaLyme disease strikes about 300,000 people each year, according to new information released by federal health officials. The new estimates suggest the disease is 10 times more common than previously thought. The Centers for Disease Control and Prevention (CDC) reported the new estimates, which were also released Sunday night at the 2013 International Conference on Lyme Borreliosis and Other Tick-Borne Diseases in Boston. Usually, only 20,000 to 30,000 illnesses are reported each year, making it the most commonly-reported tick-borne illness in the country. For many years, CDC officials have known that many doctors don't report every case and that the true count was probably much higher. "We know that routine surveillance only gives us part of the picture, and that the true number of illnesses is much greater," Dr. Paul Mead, chief of epidemiology and surveillance for CDC's Lyme disease program, said in a press release. "This new preliminary estimate confirms that Lyme disease is a tremendous public health problem in the United States, and clearly highlights the urgent need for prevention." Mead added to the Associated Press, "It's giving us a fuller picture and it's not a pleasing one." The disease is named after Lyme, Conn., where the illness was first identified in 1975. It's caused by Borrelia burgdorferi bacteria, which is transmitted to humans through the bite of infected deer ticks, which can be about the size of a poppy seed. Ninety-six percent of U.S. Lyme disease case reports have come from 13 states: Connecticut, Delaware, Maine, Maryland, Massachusetts, Minnesota, New Hampshire, New Jersey, New York, Pennsylvania, Vermont, Virginia and Wisconsin. The new study did not find anything to suggest the disease is more geographically widespread, said Mead. To prevent against Lyme disease and other tickborne diseases like babesiosis, rickettsiosis and Rocky Mountain Spotted Fever, the CDC urges people to wear insect repellant, check themselves daily for ticks and shower soon after being outdoors. If you find a tick, use a fine-tipped tweezers to grasp it as close to the skin's surface as possible. Pull upward with steady, even pressure as to not twist or jerk the insect so parts don't break off and remain in the skin. 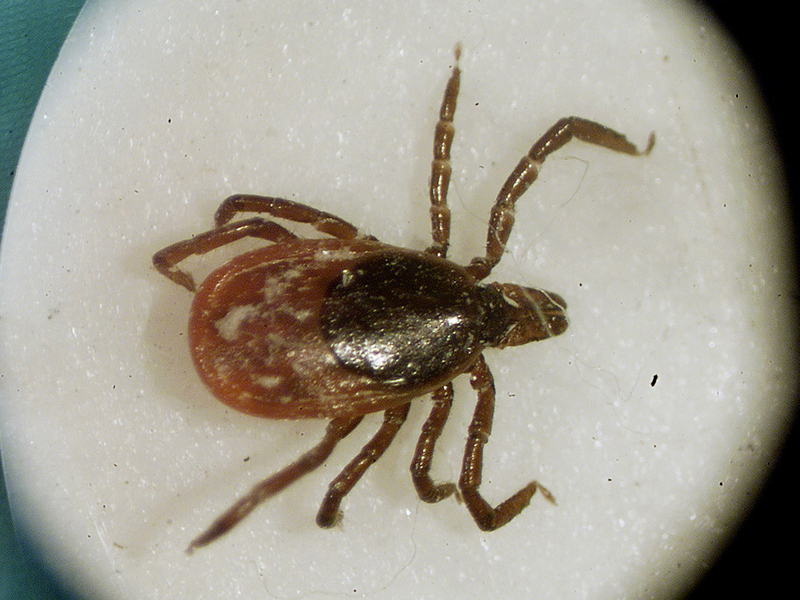 After removing the tick, thoroughly clean the bite with rubbing alcohol, an iodine scrub or soap and water. Stay clear of "folklore remedies," says the CDC, including painting the tick with nail polish or Vaseline, or using fire or heat to detach the tick from skin. The agency added that efforts are underway to identify new methods to kill these ticks and prevent the disease in people. Community approaches like tasking homeowners to try to kill ticks in their own yards, or local efforts towards disrupting the disease's life-cycle between deer, rodents (which can carry Lyme bacteria), ticks and humans could help reduce risk. "We know people can prevent tick bites through steps like using repellents and tick checks. Although these measures are effective, they aren't fail-proof and people don't always use them," Dr. Lyle R. Petersen, director of CDC's Division of Vector-Borne Diseases, said in the press release. "We need to move to a broader approach to tick reduction, involving entire communities, to combat this public health problem." The CDC has more information on Lyme disease.